Ohh hey GT fans! Long time no speak. As most of you know, I had a baby girl this past April, Annie Cassidy Gehrhardt. Yes, she is the cutest baby you have ever encountered. 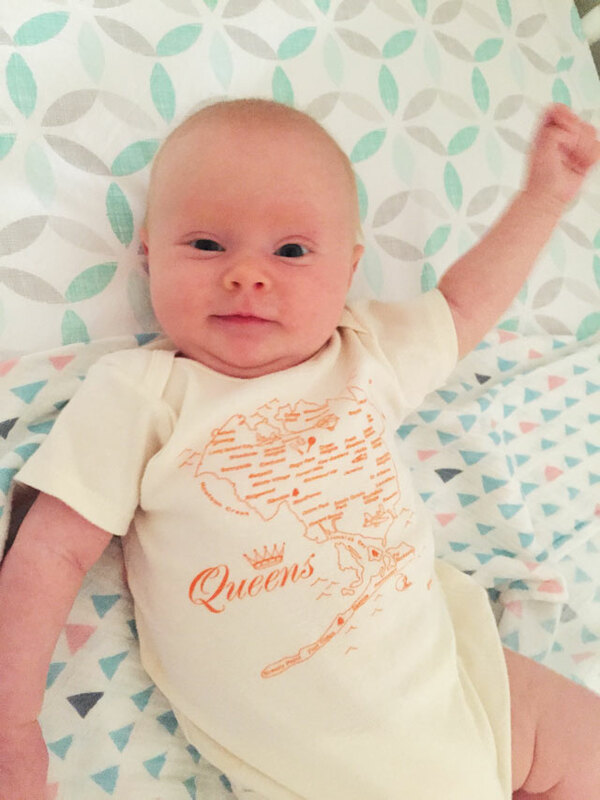 Here she is rocking a Queens onsie. Being a mother is the best job I have ever had and I am loving every minute of it. Since pregnancy, I haven’t been cooking as much. While I was pregnant, I was working the same hours I had been prior to pregnancy and making dinner at night was replaced by an 8pm bedtime. Now that Annie is here, my energy is somewhat back, but now I have a little one to look after. I usually wake up, spend what seems to be a few minutes with Annie and then somehow it’s 7pm. It’s difficult to get dinner on the table and care for a newborn. Here are a few ideas that I thought I would share for those new moms out there that I have tried – that have helped get dinner on the table fast. They’re mostly crock pot centric! This one is an old GT recipe you can find here. This beef and broccolli recipe I adapted from this recipe. I thinly sliced the steak, but I found it started shredding when I was serving, so don’t bother to thinly slice it if you’re too lazy! Make with some instant white rice to round out the meal. Grease the inside of a slow cooker. 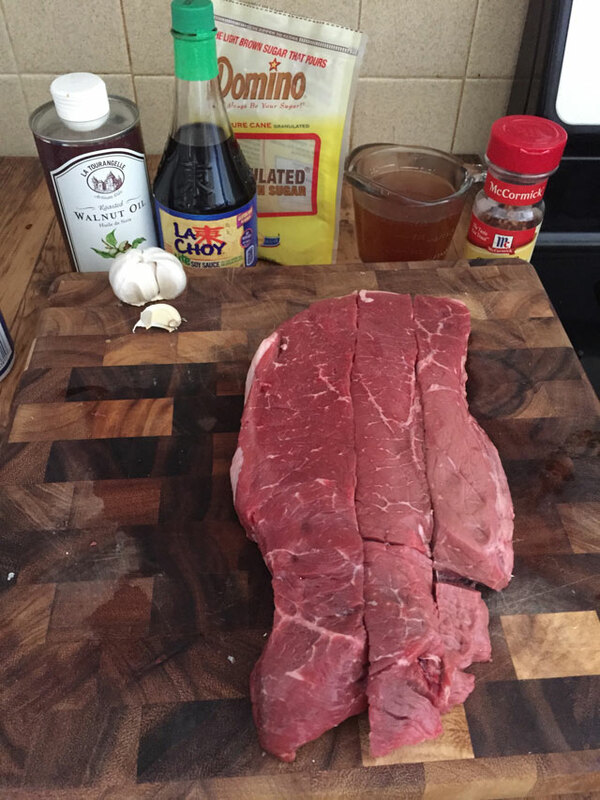 Add steak, beef broth, soy sauce, brown sugar, oil, garlic, and chili flakes. Cover and cook on high for 2-3 hours or low 4-5 hours. Add in broccoli and cook for an additional 10 minutes. Serve and enjoy! Pulled pork is so easy to make. 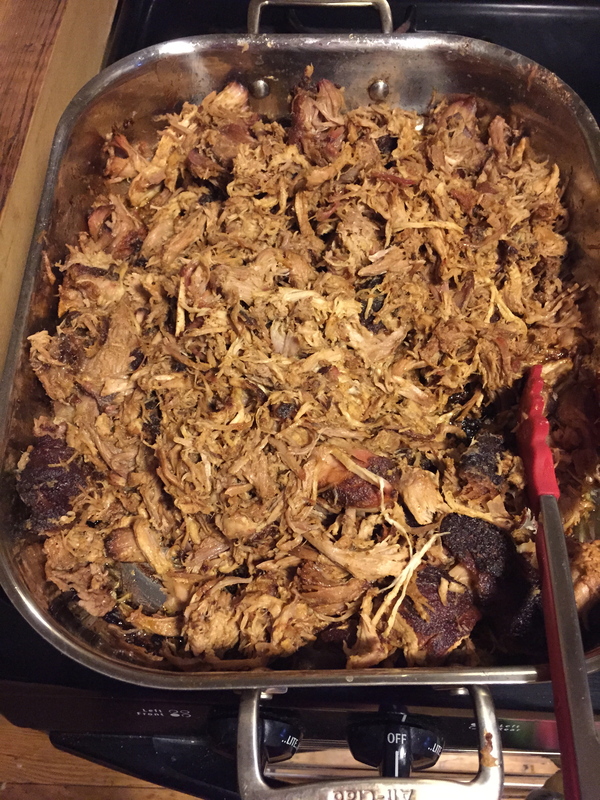 There are a lot of recipes you can find with the crock pot, but for this one I did it in the oven, mostly because the pulled pork weighed in at 7lbs and it wouldnt fit in the crock pot. I adapted a Tyler Florence recipe for the below. There is a BBQ sauce in there that is really vinegar-y, we werent keen on. If you make it, I would suggest you cut the vinegar in half. Make sure to get Martins Potato Rolls or Bread to go with this. You can get store bought potato salad or coleslaw and pickles to go with this. This recipe here is a good simple coleslaw dressing that isnt difficult and much better than store bought coleslaw. I would buy the coleslaw pre-cut bags bag and dress it with the sauce above. This is great to make in the early days when you have a lot of visitors. Freeze half right away for a rainy day when you dont feel like cooking! Mix the paprika, garlic power, brown sugar, dry mustard, salt and cumin together in a small bowl. Rub the spice blend all over the pork and marinate for as long as you have time for, 1 hour or up to overnight, covered, in the refrigerator. Put the pork in a roasting pan and bake for about 6 hours. Roast the pork until it’s falling apart. Once done, remove the pork and shred with forks. Serve with Martins Potato rolls or as desired.